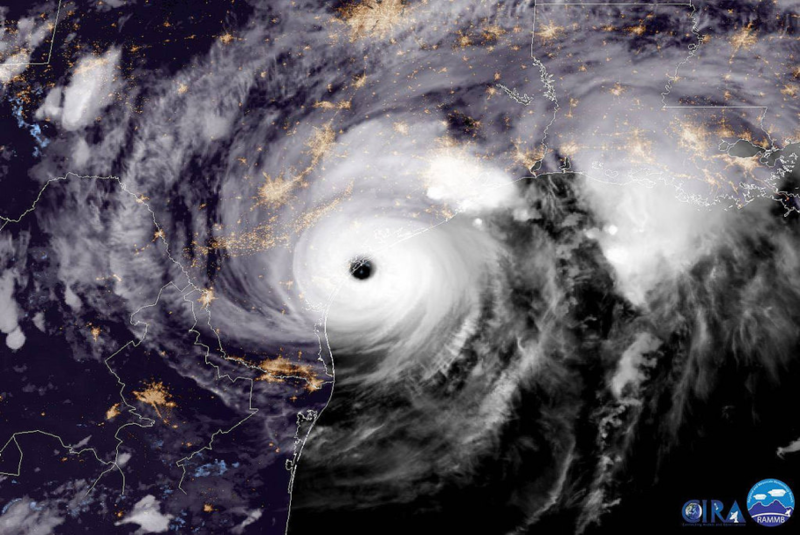 While 2017 was a catastrophic year for hurricanes, Hurricane Harvey made history as one of the costliest tropical cyclones, next to Hurricane Katrina in 2005. 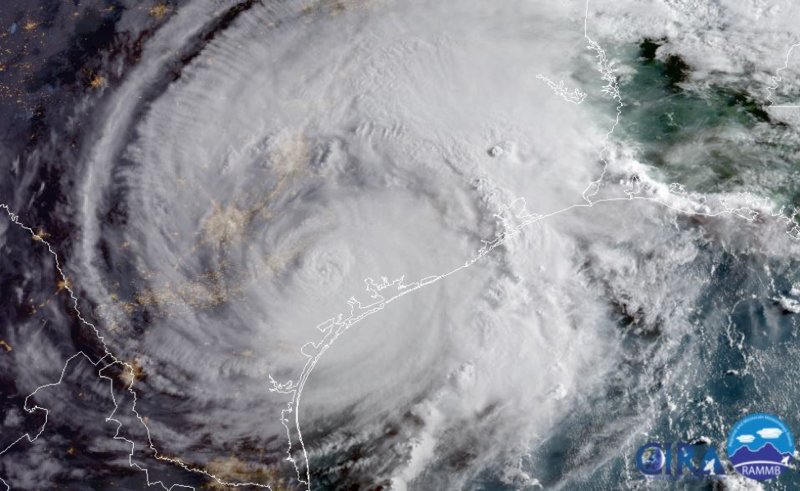 The tropical storm, depression and hurricane inflicted approximately $125 billion in damage in southeast Texas, Louisiana and the Houston area. Much of the damage is attributed to not only heavy gusts of winds stemming from Hurricane Harvey path, but also rainfall that triggered massive flooding and more than 40 inches of rain in a four-day period in Texas alone. Hurricane Harvey is dubbed as the wettest tropical cyclone in the U.S. and its effects left hundreds of thousands of homes completely destroyed. Hurricane Harvey took its time to make landfall, but once the tropical storm gained momentum, its disastrous force wreaked havoc quickly. Here’s a timeline of Harvey’s progression from Aug. 13, 2017 to Aug. 31, 2017. Beginning as just a tropical wave off the west coast of Africa, Harvey first merges with low pressure near the Cabo Verde Islands before heading west over the Atlantic Ocean. Harvey disappears into the Atlantic Ocean for a few days and then is identified east of the Lesser Antilles as a potential tropical depression. By 5 p.m. on Thursday, the tropical storm heads for the Windward Islands. Tropical Storm Harvey passes over the Windward Islands, prompting winds up to 40 mph before entering the eastern Caribbean Sea. Offering some respite, dubbed as a tropical depression, Harvey’s status turns into a tropical wave. Sparking more power and abundance, Harvey continues to move across the Yucatan Peninsula. Harvey, once again, generates into a tropical depression, prompting Hurricane watch warnings spanning from north of Port Mansfield to San Luis. A storm surge watch is also issued from Port Mansfield to High Island. Later in the evening, Harvey gains strength and is deemed a tropical storm. Texas Gov. Gregg Abbott declares a state of disaster for 30 Texas counties. In the early hours, shortly after midnight, Harvey strengths to a Category 2 hurricane, showcasing winds of approximately 100 mph. By 6 a.m., the winds increase to 110 mph prompting several flight cancellations at Corpus Christi International Airport. The weather conditionals along the coast continue to deteriorate and the Port Aransas ferry ceases all operations. By 10 a.m. winds of 115 mph were reported in Corpus Christi and outer rainbands continue to sweep across the middle and lower Texas coast. By the afternoon, Harvey gained enough strength to be classified as a Category 3 hurricane with 120 mph winds. The Flour Bluff and surrounding areas experience significant power outages. To complicate matters, an EF-0 tornado touches down northeast of Seadrift around 4 p.m.
Harvey quickly escalated to a Category 4 by 6 p.m. CST featuring winds at 130 mph. By approximately 8 p.m. the eyewall moves onshore with winds ranging from 80 mph to 108 mph with gusts up to 120 mph. By 10 p.m. CST, Harvey made landfall between Port Aransas and Port O’Conner on San Jose Island. Within the next hour, the eye swept over Aransas Bay with gusts of winds reaching 100 mph. A few hours later, on Saturday, Aug. 26, Harvey’s path made a second landfall on Copano Bay’s northeastern shore. The hurricane was then downgraded to a category 3. Rain hammers the area with 24-hour precipitation topping 16 inches in Victoria and tides of 6.6 feet in Port Lavaca. By the late morning hours, more than 99,000 residents in Nueces County were without power. San Patricio reported approximately 25,000 without power. After spreading through Victoria and San Antonio with winds ranging from 45 to 60 mph, Harvey weakens to a tropical storm. By Sunday, Aug. 27, Harvey crept toward the Houston area prompting flooding emergencies along the southeastern Texas coasts and adding additional counties to the disaster declaration by the Texas governor. Still declared as a tropical storm, Harvey’s center produces winds up to 45 mph as it moves into the Gulf of Mexico, causing catastrophic flooding in southeastern Texas. The tropical storm warnings expand into Louisiana and the Texas National guard is activated to help with rescue efforts. President Donald Trump makes a trip to Corpus Christi for a briefing regarding the damage. Two days later, Harvey – still classified as a tropical storm – makes its 3rd landfall in Louisiana just west of Cameron. 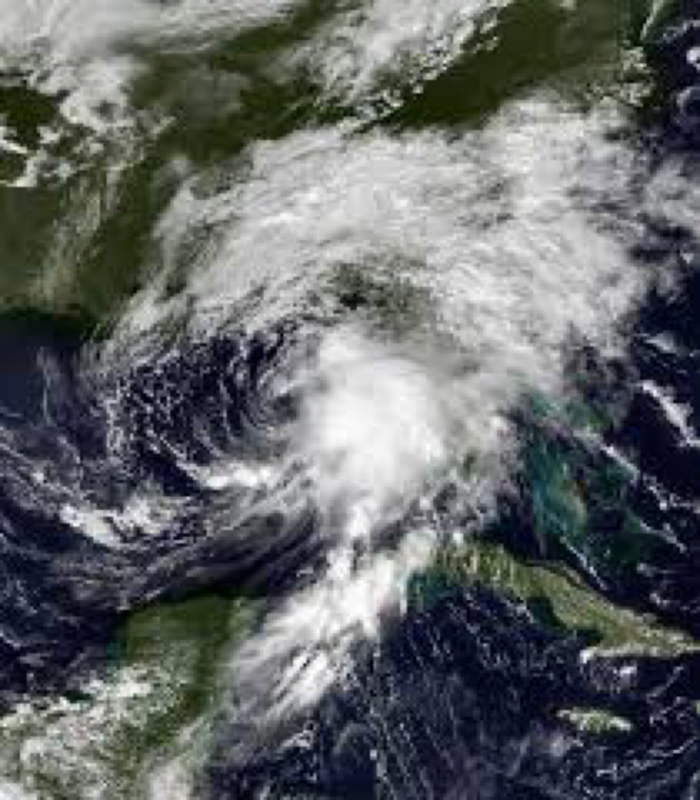 The storm continues through central Louisiana before it loses its strength and is classified as a tropical depression. Flash flood emergencies are issued for Port Arthur and Beaumont. Western Louisiana and Eastern Texas continue to experience flooding rains and more counties in Texas are added to the disaster declaration by the Texas governor. By this point, Harvey has dissipated, prompting the National Hurricane Center to stop tracking activity. The impact of Hurricane Harvey spread throughout the Caribbean and the United States resulting in 107 confirmed deaths that include 106 in the United States and 1 in Guyana. The damage amount exceeded $125 billion, making this natural disaster one of the most-costliest and comparable to Hurricane Katrina in 2005. Hurricane Harvey’s impact resulted in a loss of electricity in Barbados, covering provinces such as Christ Church, Saint Lucy, Saint Michael and Saint Joseph. Residents were forced to evacuate due to flooding as the rushing waters washed houses from foundations and destroyed bridges in Saint Joseph and Saint Andrew. Blocked drains resulted in approximately 15 businesses being flooded in Port Elizabeth. Suriname and Guyana were also impacted by Harvey with roof damages on homes due to high winds. Guyana’s village of Jawalla was impacted the most with homes and public buildings facing damage due to flooding and high winds. One death in Guyana was attributed to a house structure that fell on a young woman. In Texas alone, 68 of the 103 deaths were a direct result of Hurricane Harvey’s effects that included high winds and flooding, resulting in the highest number of deaths in Texas from a natural disaster since 1919. 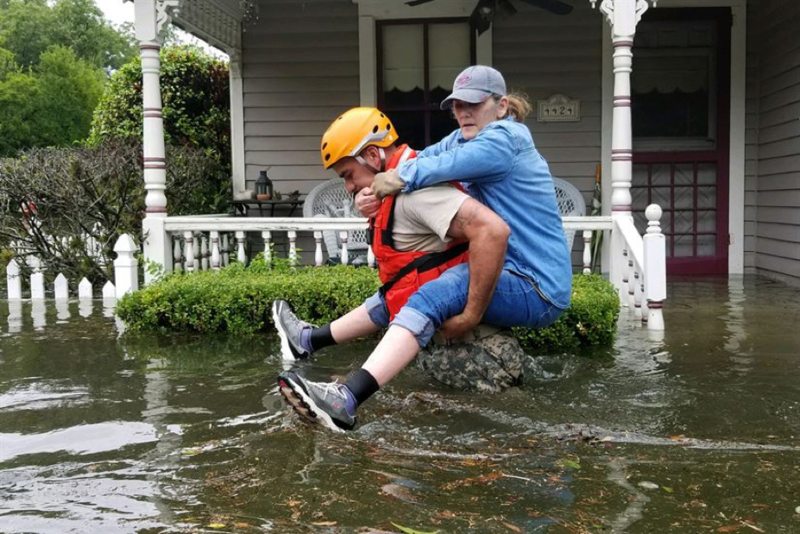 In Texas alone, more than 335,000 residents were without electricity and more than 10,000 people required rescue once Hurricane Harvey made landfall and wreaked havoc on the state. Not only did the devastating floods and winds attribute to the deaths in the state, it also affected oil and gas production within inland Texas and the Gulf of Mexico, prompting a fuel shortage. Oil refineries closed and gas stations throughout the state were forced to close as well. It is estimated that nearly 50,000 homes faced some damage with more than 17,000 of those homes completely destroyed. Wildlife, too, were threatened where only a dozen of the rare Attwater’s Prairie chicken reportedly survived. Aransas County was one of the most affected areas of Texas as the Category 4 hurricane made landfall. The wind gusts of up to 132 mph caused severe damage in Port Aransas and nearly every structure in the city was damaged during the storm surge. The eyewall winds of Hurricane Harvey left entire blocks in Rockport disheveled, causing severe damage at the local high school. The Aransas County Airport reported damage to several plains while the nearby docks displayed half-sunken boats. One of the 103 deaths in Texas occurred in Rockport due to a house fire, escalated by the wind surges. Nearly every home in nearby Holiday Beach was damaged or destroyed by the violent winds and storm surge and Corpus Christi faced damage due to 20 inches of rain that fell on Aug. 26 alone. 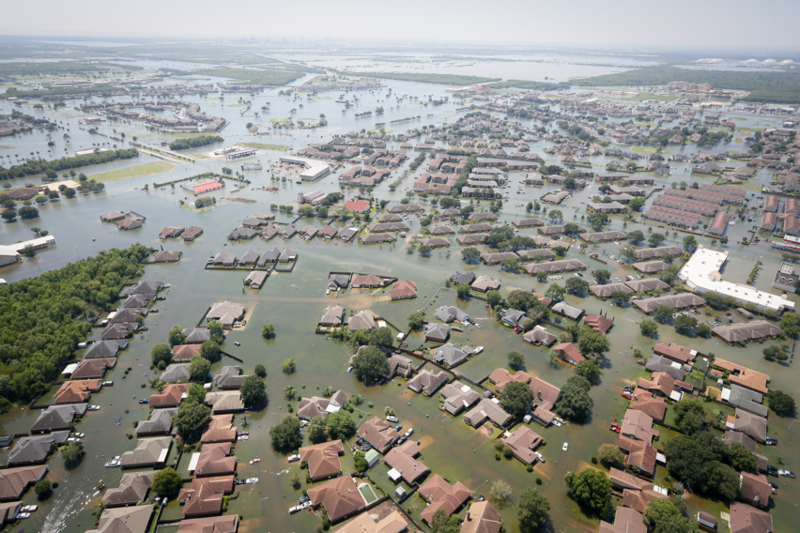 Beyond the impact of the landfall, Houston, Texas faced flooding and storm surges due to approximately 30 inches of precipitation. As a result, Harvey has been deemed the wettest tropical cyclone for both the United States and Texas. The National Weather Service issued multiple flash flood emergencies in the Houston area alone beginning on Aug. 26. The rain caused devastation, rescues and damage to structures as it pummeled the area. In fact, Pearland, south of Houston received approximately 10 inches of rainfall within just 90 minutes after Harvey passed through. In Port Lavaca, the storm surge peaked at six feet, moving rainwater from land to sea. Travel in and out of Houston was challenging to say the least. George Bush Intercontinental Airport cancelled more than 800 flights in the city while William P. Hobby Airport cancelled more than 120 flights. At one point during the storm, both airports closed. Tornadoes also evolved in the midst of Hurricane Harvey, causing even more damage in Sienna Plantation. 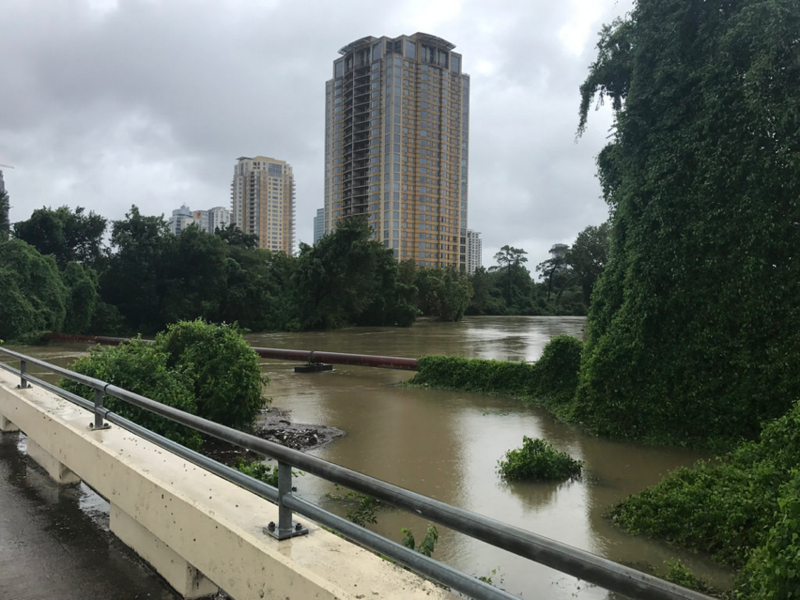 The downtown Houston area was inundated by at least 10 feet of water on Aug. 27, prompting mandatory evacuations prior to the flooding. To help fight against the flooding, the U.S. Army Corps of Engineers began issuing controlled water releases on Aug. 28. Nearby NASA Johnson Space Center closed through Sept. 5, leaving only critical mission control staff on site. 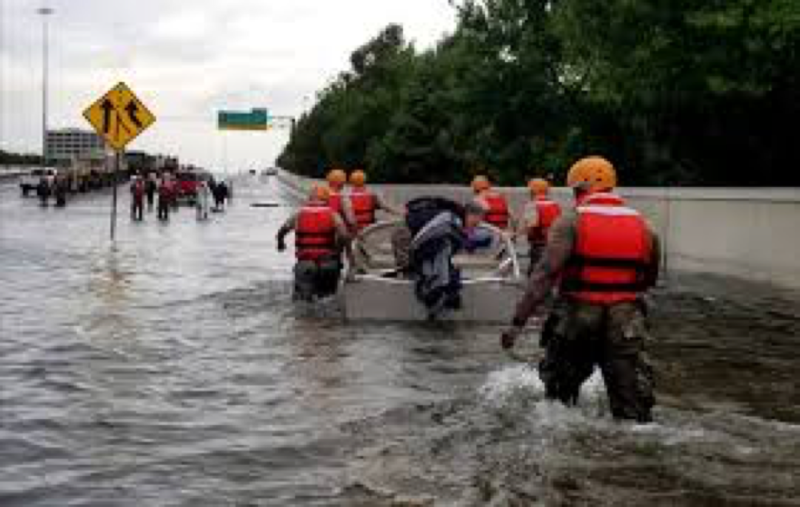 The Beaumont-Port Arthur area of Houston was also hit with more than 32 inches of rainfall and rising waters from the Neches River caused a loss of service from the main pump station, ultimately cutting water supply to the city for days. By the time the impact of Hurricane Harvey was realized, the entire city of Port Arthur was submerged by water. Harvey made landfall in Louisiana on Aug. 30 bringing heavy rainfall and a state record of 14.88 inches in the city of Iowa. Homes and business structures were damaged by flood waters in both Iowa and Lake Charles. Reportedly, approximately 500 people had to be rescued from the state, prompting the opening of shelters in Southwest Louisiana. Adjacent to Harvey, Louisiana also experienced an EF2 tornado near the city of Evangeline that damaged homes, vehicles, electrical poles and fences. Arkansas attributes two deaths to accidents caused by rain-slicked roads stemming from Harvey. As a tornado moved into Alabama, also sparked by Harvey, homes and barns were damaged. Tennessee was also impacted with power outages, especially in Memphis with more than 19,000 residents without electricity. In Nashville, roads flooded causing evacuations. Kentucky was also hit with hard rains leading to one fatality. North Carolina was not spared, either. Remnants of Harvey passed through the state, prompting tornadoes and high winds in Clayton, Smithfield, Angier, Sanford, Holly Springs and Fuquay-Varina. Hail pummeled counties in North Carolina, such as Wake, Harnett and Johnston. The devastation and aftermath of Hurricane Harvey prompted both federal and state governments to respond with help for the city and victims. 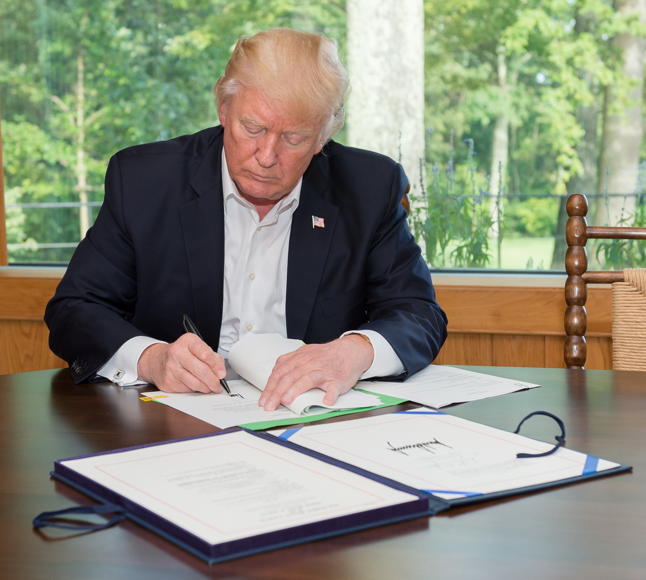 President Donald Trump signed H.R. 601 into law on Sept. 8, allocating $15 billion for Hurricane Harvey Relief. Truckloads of supplies, clothing, water and food were also transported to the Houston area and affected states to help with relief efforts. Foreign governments were quick to respond as well. Israel offered $1 million in relief funds to restore non-state infrastructures while Mexico dispatched volunteers from the Mexican Red Cross, rescue teams and fire personnel to assist. Venezuela stepped up with $5 million in relief funds and Singapore sent two helicopters for humanitarian operations. Regardless of what stage of recovery you are in after facing the devastation of Hurricane Harvey, Complete, Inc. can help. As a licensed appraisal/umpire claims firm in Gulf Breeze, we offer industry-leading expertise to help you navigate appraisals and find alternate dispute resolution services. Contact us today to learn more about how we can assist you with property appraisal and Hurricane Harvey relief.